During the last hour of 2013 the countdown of the latest edition of the ‘Eurovision Top 250’ was completed. 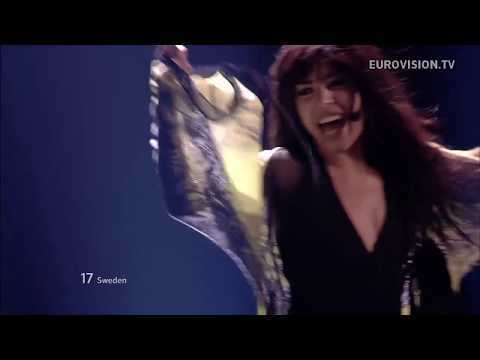 Sweden’s 2012 Eurovision winning song Euphoria, performed by Loreen, won the voting for a second time in a row, congratulations! Alexander Rybak’s Fairytale (Norway 2009) has moved back up to second place from third while this year’s third place went to Everyway That I Can, Turkey’s 2003 ESC winning entry. Most voted song from the last Contest in Malmö is the Dutch entry Birds, performed by Anouk (place ninth in Eurovision). Only Teardrops, Denmark’s 2013 winner performed by Emmelie de Forest, finished seventh place in the voting. In terms of decades before the turn of the millennium, the 1990s stand out: Anabel Conde’s 1995 entry from Spain, Vuelve Conmigo, was voted the most popular song from this decade at place #17, followed by Secret Garden’s Nocturne (Norway 1995) at #19 and Danijela’s Neka Mi Ne Svane (Croatia 1998) at #29. Fifteen more songs from the 90’s made it to the Hot 100. The 1970s also fared quite well, with ABBA’s Waterloo at #11, followed by Eres Tú (Mocedades, Spain 1973) and Après Toi (Vicky Leandros, Luxembourg 1972) at #35 and #36, respectively. Five more songs from the 70’s made it to the Hot 100. The 1980s decade must have left a weaker impression with the fans of the Contest. Only four entries from this decade reached the Top 100: Johnny Logan’s 1987 winning song Hold Me Now at #42, Alice e Battiato’s I Treni Di Tozeur (Italy 1984) at #56, Celine Dion Ne Partez Pas Sans Moi (Switzerland 1988) at #58 and Ofra Haza’s Hi (Israel 1983) at #91. Poupée De Cire, Poupée De Son, Luxembourg’s 1965 winning entry performed by France Gall was voted the most popular song from the 1960s decade, placed at #66, while Nel Blu Dipinto Di Blu by Domenico Modugno (Italy 1958) was voted the most popular song from the earliest decade of the contest history, placed at #80. Crisalide (Vola), last year’s Sammarinese entry performed by Valentina Monetta , at #16 should be mentioned as the highest placement of a song that never made it to a Eurovision final, the only one placed in the Hot 100. For the complete ranking of the ‘Eurovision Top 250’ please see below. On this occasion, we’d like to thank our partner website 12points.tv for the organization of the voting, and also OGAE International, INFE International, ESC Radio, and fan sites EurovisionBelgium.blogspot.com, Songfestivalweblog.nl and Ilkar.blogspot.com for supporting this project. ESC Radio wishes everyone a HAPPY NEW YEAR 2014! This entry was posted on Wednesday, January 1st, 2014 at 10:57 am	and is filed under News. You can follow any responses to this entry through the RSS 2.0 feed. You can leave a response, or trackback from your own site. Dear and special eurovision friends, from Milan Stankovic fans, BIG THANK YOU FOR ALL YOUR GREAT and HUGE WORK!!! 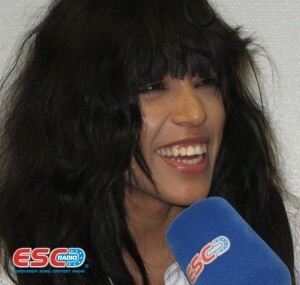 THANK YOU to all who voted MILAN in TOP 250 every year and make us very happy to listen ESC Radio ! For all, I wish you , HAPPY NEW YEAR !!! Three countries have no songs in top 250: Lithuania, Andorra and Czech Republic. The most recent winner out of the top is Estonia 2001. Sorry, the most recent winner out of the top is Latvia 2002. HAPPY NEW YEAR to all of you from Denmark! Well noticed Simon. I was upset of Amina’s loss and Carola’s victory for weeks when it happened. Maybe the biggest injustice in the history of the contest. Le dernier qui a parle sounds as brilliant as way back in 1991. I’m glad to see Loreen at the top of the list. Her song is Epic! How can we (Sweden) ever make a enrty like that agian. I had become a bit upset about our bad placings at the final and then suddenly Loreen came and the victory was in our hands. Now I can sit back and enjoy the Contest and knowing: we won’t be able to make that agin for a long time. And a special mention must go to one of my favourite Turkish entries: Seyyal Taner & Lokomotif – Sarkim sevgi ustune 1987. Thanks for a magnificent show and good night from Sweden. I love Crisalide, it shuld won… I think Iceland 2006 should be also in the list! Well noticed Simon. I was upset of Amina’s loss and Carola’s victory for weeks when it happened. Maybe the biggest injustice in the history of the contest. Le dernier qui a parle sounds as brilliant as way back in 1991.
if a blocked nose is your main symptom, and also if you want an effective and natural treatment sensual massage in london for UTI. course, this scene leads into sensual massage in london the main character offering a particularly comic interpretation of the acupuncture site openings.